Andrew has been exploring mountains his whole life. He began with orienteering in high school and varsity and only later discovered rock climbing and trail running. Andrew’s climbing highlights include a visit to Yosemite where he free climbed the north-west face of Half Dome with Hector Pringle and also climbed The Nose in one day with Hector and Clinton Martinengo. An accomplished mountain and ultra-distance runner, Andrew has won and held course records (since broken) at the Mnweni Marathon, Skyrun and X-Berg. 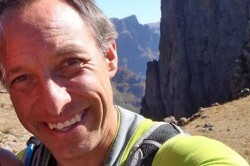 In 2009 he was the first person to complete a solo speed Drakensberg Grand Traverse with a time of 61.5 hours. He returned to the DGT in June this year and completed the route solo in 45 hours. Andrew has the ability to move swiftly on foot and to just keep going. 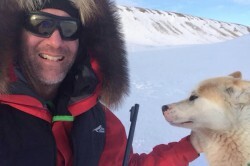 “For some silly reason I also have the ability to put up with a degree of suffering through choosing to pack light and leave crucial gear at home,” he laughs. Andrew’s long-term goal is to combine his two activities of climbing and running into an adventure. 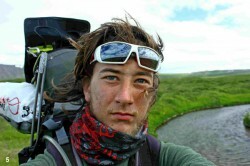 At FEAT, Andrew speaks about his solo adventures and the mind games of being alone in wild places. In 1979 Colin escaped England for South Africa on a three-year engineering contract. He never returned to the UK and has now lived longer in Africa than in Europe. For Colin, work was a means to an end. After 30 years of hard work he retired at 50. When not riding her bike she can be found riding her horse, Franc. Bianca, together with her sister Lene, maintains their website (www.heavymetalbikes.co.za) and, like her dad, she likes REAL beer, red wine, cheese, peanut butter and proper bread. Duncan only started ‘adventuring’ 15 years ago. “Building a career, business, family and the costs are the main reasons that I’m a late starter. What is significant is that I have lead a hugely active life since my teens, ” he explains. Looking at her long-distance running achievements you’d never guess that Hazel wasn’t always a runner. “I like to think that my tenacity and will to fight comes growing up on the Bluff in Durban, where everything was a struggle and nothing came naturally,” she says. She moved to Jo’burg in 1994 after graduating as a chemical engineer. “Prior to this my sporting achievements were zero,” she says. 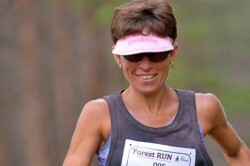 At FEAT Hazel speaks to us about running ultras… and getting up the next day and the next and the next to run another. While on honeymoon in 2000, Jean stood on the Rock of Gibraltar looking across the water to Morocco. “I’m sure I can swim this,” he thought. When he’s not swimming, Jean is a husband, father and Director at two international companies in Johannesburg. The swims happen in between. “However,” he says, “these swims make up the other 100% of my life”. From early on, Keegan was plagued by injury and skin infections and by the time he reached Sudan, it looked like his record opportunity was lost. Four-days behind record pace, he cut out planned rest days to make up distance. He crossed Sudan, Ethiopia, Kenya, Tanzania, Zambia and Botswana before eventually arriving back in South Africa. 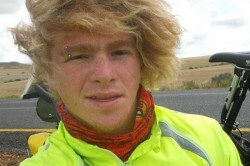 En-route Keegan suffered from diarrhoea, severe sun burn, cramps and dehydration, survived a near robbery at knife point (twice), was spat on in Ethiopia and hit with rocks thrown by children. 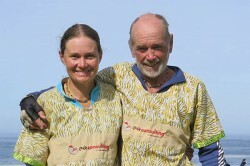 59 days, 8 hours and 30 minutes after setting off from Cairo, Keegan reached Cape Town and clocked a new World Record time. Nic is a directing cameraman. He is as comfortable in an editing studio as he is underwater, in the sky, on the sea or hanging on a rock face. 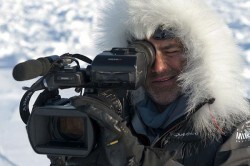 20-years ago Nic started his company Fresh Air Crew to shoot and direct a mountaineering expedition to Patagonia. His first documentary won at the Banff International Mountain Film Festival and led to him developing a niche in the adventure-documentary market. At FEAT Nic gives us a glimpse into the making of award-winning films as he explores his theme of ‘Adventuretainment’. 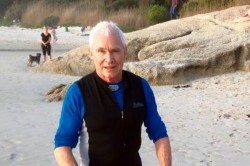 Peter made his name in the world of extreme adventure by winning the pairs division of the 5500km unsupported Woodvale Trans-Atlantic Rowing Race in 2008. He returned to the race in 2010 – this time solo. He spent 76 days alone in a seven-meter rowing boat and crossed the Atlantic unsupported. Pete spoke at the first FEAT event in Jo’burg in October 2010 and at the first FEAT Cape Town in February 2011. This year Pete returns to FEAT not only as a speaker, but also as our MC. We’ve given Simon Gear, who has MCd FEAT for the past three years, the night off to enjoy FEAT in the audience with his family and Pete will take the reins to guide us through this extraordinary evening of talks. 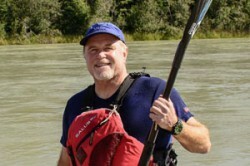 Tim’s passion – since his university days in the mid-70s – has been canoe racing. Tim represented South Africa at canoe marathon races around Europe, won the Dusi Canoe Marathon a few times and has completed numerous international kayaking expeditions. Tim writes about some of his expeditions in his self-published book, ‘Three Rivers of the Amazon’, a story of his adventures paddling the three main tributaries of the Amazon River: Urubamba River (1981), the Apurimac River (1985) and the Maranon River (2004). Between these expeditions Tim worked as a geologist and then as a timber farmer to raise his family – three sons and a daughter – and to fund other kayaking expeditions to Alaska, Colca Canyon, Peru, the Himalayas and a host of rivers around Africa like the Zambezi and Congo. After 20 years of timber farming in the Natal Midlands, Tim and his wife Margie moved to Hout Bay where Tim restarted his career in Engineering Geology. 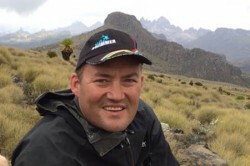 He upskilled by completing an MSc in 2014 and has been working on projects in South America and Africa. “My passion is painting, trail running in the mountains, surf skiing and kayaking,” he says. Tim is also involved with outreach projects in the Hout Bay townships.